If you’ve read any of my previous articles on blogging and/or attended one of my talks or workshops in the UK and Canada, you’ll know how important it is – and why – always to blog on your own website or blogsite first of all. Much as some people now are skipping their own blog or not bothering with one at all, preferring to blog directly to LinkedIn, Facebook, Instagram etc., it’s risky. One, there’s nothing to stop the platform owners pulling your stuff if they feel like it; and two, you’re less likely to benefit from Google rankings for it if it doesn’t appear on your own site first. You may need to give your blog post a bit of a haircut, but if it fits appropriately you can use it to post or even comment on your social media. Many of the popular sites can accommodate fairly long posts, and even the previously terse Twitter now allows you up to 280 characters … and it’s rumoured that this will increase again. Yes, there still are some paper magazines around these days, depending on your business! Given that blog posts and articles now are almost identical, you can submit good blog posts to magazine editors. It’s always a good idea to email the editor beforehand and ask if they would be willing to view your article. Some publications are very picky, but others – especially the smaller ones – often are desperate for new, good content and although you won’t get paid for your article, you’ll get the publicity. Online magazines tend to be crisper, shorter and punchier than print versions – far fewer words per article, laid out differently too. You’ll probably find, though, that you can edit your blog post down to match the style of the online magazine, then go about the submission process as I’ve described above. Unless a site specifies that all content must be original (as mine does) there’s nothing to stop you from submitting your blog post to an appropriate website for consideration. Always be honest and tell them it originally appeared on your site, and offer to alter it according to their guidelines. As long as your content is absolutely right for their audience, they may well look favourably on it. Increasingly people only have time to learn about new things, techniques, or even enjoy some fiction while they’re doing something else like driving their car, sitting on a train or doing the ironing. Audio is easy to produce and even proper audiobooks are coming down in production costs, so think about converting your blog post into a podcast. This can be available on your website, social media page, etc. If you prefer to talk to your phone or video camera, your blog post often will make a very good subject for a live video. You may not want to read it out, but you can talk around it – perhaps having pared it down to bullet points to use. You can then include the written version as a post to accompany the video so people can choose whether to read or watch. White papers are often thought to be a little old fashioned now but they are still valued in the more “serious” and technical areas of business. Especially if you have written a fairly long and detailed blog post, you can repurpose it into a downloadable white paper that people can access from your website. You can also send it out to your mailing list. A series of blog posts – or even a collection of your best ones on a given topic – can easily be turned into an eBook you can offer as a download, or even to sell. Much as people know they could search around and find each of the blog posts on your site and so read them for free, most are too lazy or time-pressed to do that and would prefer to have the whole lot in one or two clicks even if there is a cost. A long series of blog posts can be gathered together, with some editing, into a full-length print and Kindle book, and also now as an audiobook. I have done this with my own book “How To Write Brilliant Business Blogs” which I self-published, and which then got picked up by an American publisher and so is now on sale (in two volumes) under their brand as well as my own. Two other guest columnists on my website have turned their series of posts into books, too. If you’d like to do that eventually, you’ll need to plan ahead so the blog posts run in a logical order – although of course you can always re-edit them when you’re compiling your book. Turning # 9 on its head, if you have written a book you can serialise it in a series of blog posts. As mentioned above, although in theory people could read all the posts on your website so getting a free book, the reality is people will still buy the book rather than plod through your search box looking for every post in order. A few years ago I serialised a book about writing for job search on my website, and it helped to boost the book’s sales quite considerably. 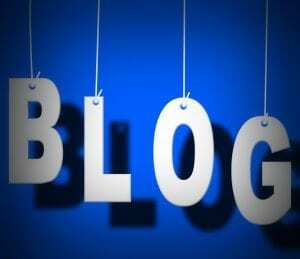 What other uses can you think of for your blog posts?